There are often times when lighting and safety go hand in hand, especially when it comes to transport, mining and those in industrial environments. Dedicated to providing world class solutions, Aletek Advanced Lighting designs and engineers products that can withstand the toughest environments. Here at Aletek, we want to provide solutions that are guaranteed to perform the way you want them to. We offer the best HID spotlights in Australia with each of the items for sale being expertly designed and manufactured right here. All items are thoroughly tested in order to ensure their performance and durability. 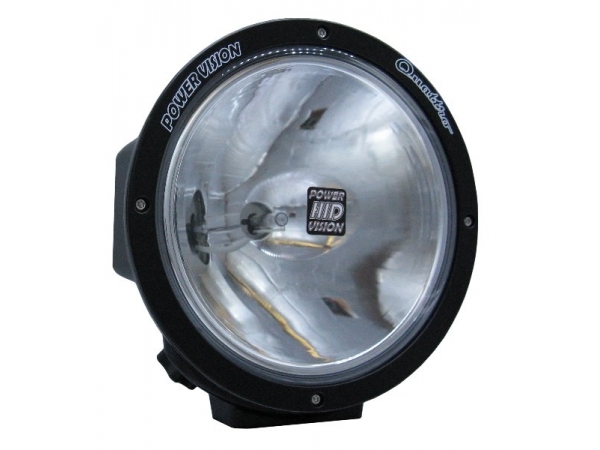 One of the biggest benefits of purchasing the HID spotlights for sale is the added safety when used in extremely dark areas. The bluer appearance of the high intensity discharge globes are closer to that of natural daylight. This makes them considerably brighter and therefore more functional for nighttime usage. It is for this reason we often recommend high intensity discharge spotlights to those in the mining industry as well as anyone often driving on unlit roads and surfaces. As well as their increased visibility potential, these bulbs last considerably longer than the halogen alternative. This means less maintenance for vehicle owners and better value for money in the long run. As well as less waste caused by thrown away bulbs, they also consume less energy. Here at Aletek, we offer a range of high quality products to suit your particular lighting needs. Simply browse our list of products and add your preferred items to the quote cart. If you would like more information on our products, or would like assistance in finding the best HID spotlights for your needs, please get in touch with our team today and we will be happy to help. To contact us, simply call 1300 886 628, email sales@aletek.com.au or complete our online enquiry form provided.